Arrive at the Site: 8:45 a.m to 9:00 a.m. Location: Douglass Park, 400 N. Providence Road. 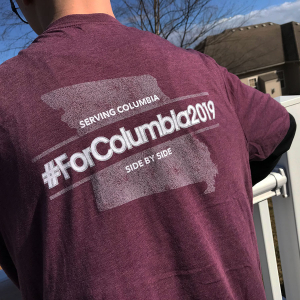 One of the ways ForColumbia strives to love and serve our neighbors is by working in locations that benefit the entire community. This year, we are excited to serve at four Columbia Public Schools, including Douglass High School. Serving at our public schools is one way we can say “thank you” to the teachers and staff who are actively working in the lives of our children every day. This is why we think your day will be well spent serving Douglass High School. ForColumbia will provide all tools and plants necessary for this project. Volunteers are encouraged to bring their own leaf rakes to assist with mulch spreading. Yes, older kids can help serve at this site. Because Douglass is located on a high-traffic street, we do not recommend bringing children younger than 7 to this site.